Thieves now consider it harder to break into a vehicle than into someone’s home...and are stealing keys from inside properties. A MAN'S home is his castle, as the saying goes, but it appears somebody forgot to tell a new wave of Queensland car thieves. While much has been made of the sharp rise in car thefts throughout the state in recent years, the reality of where they're being stolen from might surprise you. Car security has advanced to the point where thieves now consider it harder to break into a vehicle than into someone's home. It's the new trend in car theft, with thieves targeting keys as the means to steal vehicles and often breaking into homes to get them. 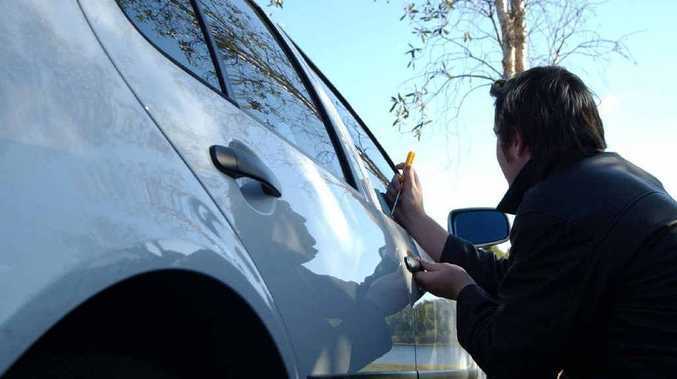 The newly released RACQ Insurance Car Security Index shows 28 percent of thefts over the past year were from home driveways, with more than 15% from the owner's street and 10% from the home garage. The scary thing is that 70% of cars stolen in Queensland last year were fitted with an engine immobiliser, most of them taken via access to the owner's keys. Car thieves have always been opportunistic, striking where and when least expected. The lesson is, as always, to keep your keys safe and secure at all times. Leaving them by the front door or window of your home is almost an open invitation to today's car thief.